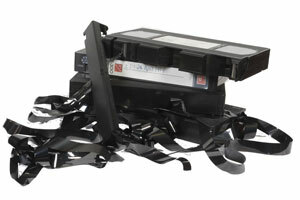 Let Kodak Express Camden transfer your Video8 Camcorder Tapes to DVD. Don't let them sit in the drawer deteriorating year by year until it's too late. We are part of the Kodak group of companies which is your assurance of excellent service, good quality work and peace of mind when ordering through the web. The cost of copying to encoded DVD is just £20 per Video8 tape. Note that these encoded DVDs play on computers and on your TV but cannot be edited. We produced editable files at the same costs. We will, of course, give you a generous discount if you drop in 20 or more Video8 tapes - the price then drops to only £10 per camcorder tape. AVI Editable computer files from your VHS video tapes are possible for both MACs and PCs. We produced uncompressed AVI files for home computer editing. Editable file sizes are very large and you will need to supply an external hard drive or large capacity USB stick. One hour of video needs 13gb of space. Although DVDs last a lifetime without deterioration in quality one scratch or scuff mark will render it unplayable. For this reason we strongly advise you to order an extra DVD back up copy of your Video8 transfer work - the cost is only £6 per tape and well worth it for peace of mind. By asking us to transfer your Video8 camcorder tape you are giving us an assurance that you are the copyright owner or that you have permission from the copyright owner to duplicate the work. We only accept Video8 to DVD transfer work on this basis. 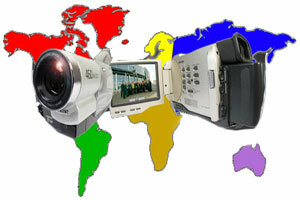 Many countries around the world use the NTSC format, including Japan, USA and many countries in South America. So if your Video8 tape was originally filmed in any of these countries it will need to be converted to PAL format to play on UK TV systems. We can fix any type of physical damage to the tape such as snapped or entangled tape, tapes which are immediately ejected and replacing the tape housing. We cannot generally fix problems associated with bad recordings (too light or too dark), camera equipment malfunctions and sound problems. If you have accidentally erased the tape we cannot restore the footage.